More than 23 million Americans are in long-term recovery from addiction to alcohol and other drugs and are living proof that recovery is real and that it benefits themselves, their families and communities. Every September the Substance Abuse and Mental Health Services (SAMHSA) sponsors Recovery Month to increase awareness and understanding of mental and substance use issues and celebrate the people who recover. Community Anti-Drug Coalitions of America (CADCA) in partnership with SAMHSA is proud to host this year’s Recovery Month Luncheon. 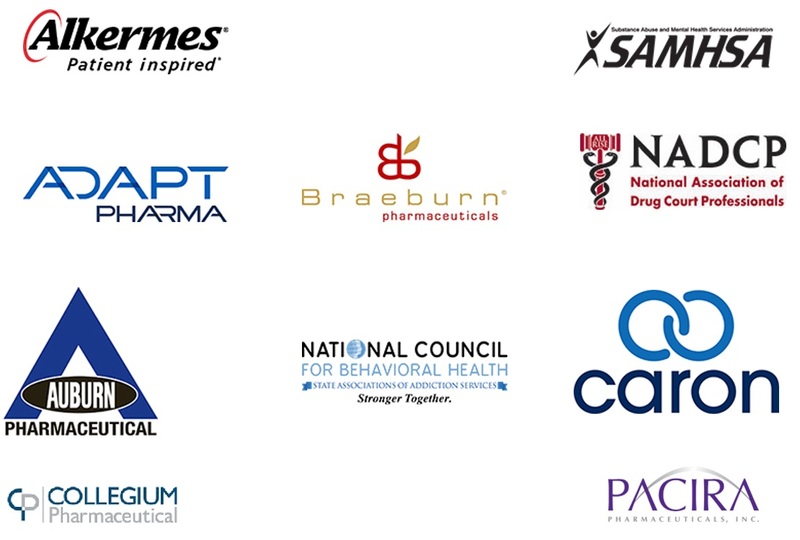 The luncheon brings together over 250 attendees representing business leaders, policymakers, representatives of the substance abuse prevention, treatment, recovery and research fields, and concerned citizens to celebrate people in recovery and spread the message that prevention works, treatment is effective and people can and do recover. 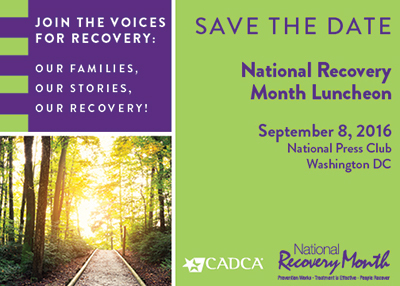 National, state and local leaders will convene in Washington, D.C. on Sept. 8th to celebrate the 27th anniversary of National Recovery Month. The celebration includes a news conference hosted by the Substance Abuse and Mental Health Services Administration (SAMHSA) followed by a luncheon hosted by CADCA. Learn more about Recovery Month from SAMHSA.